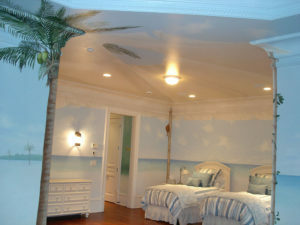 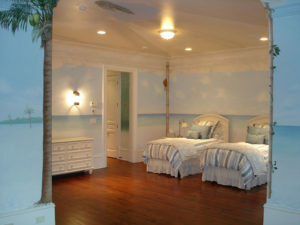 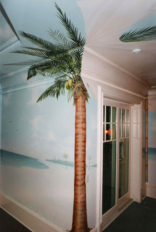 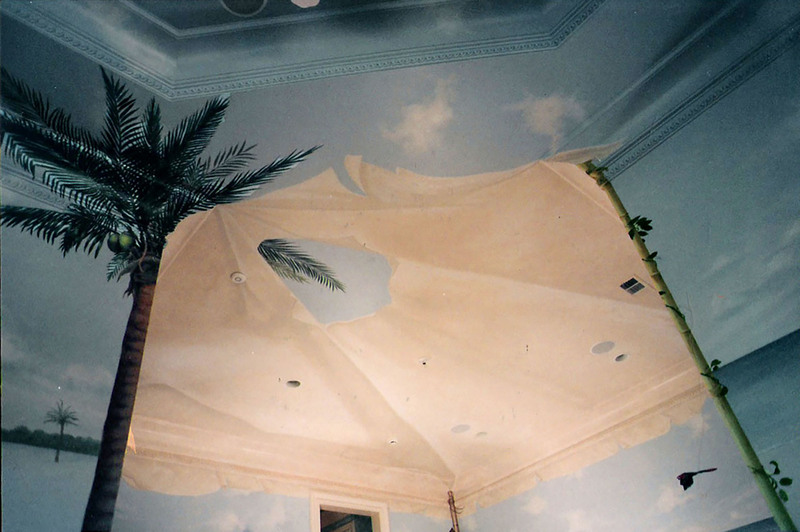 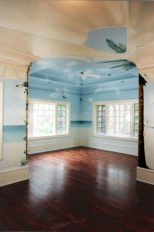 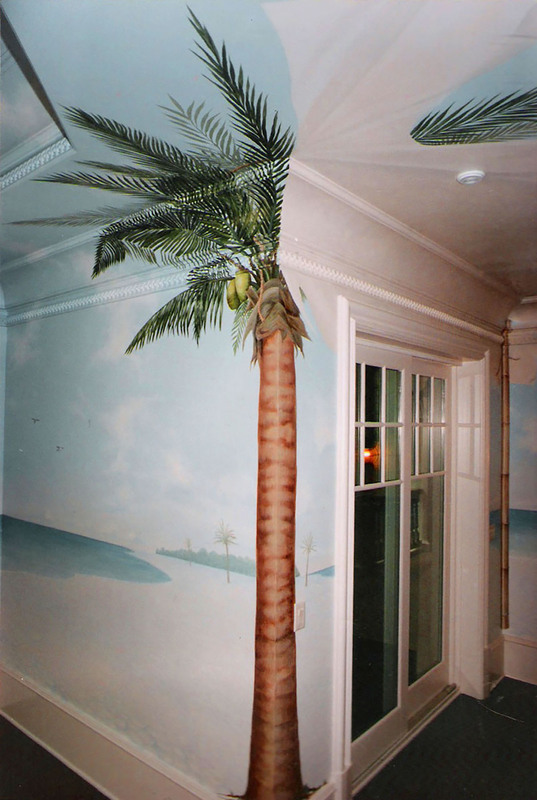 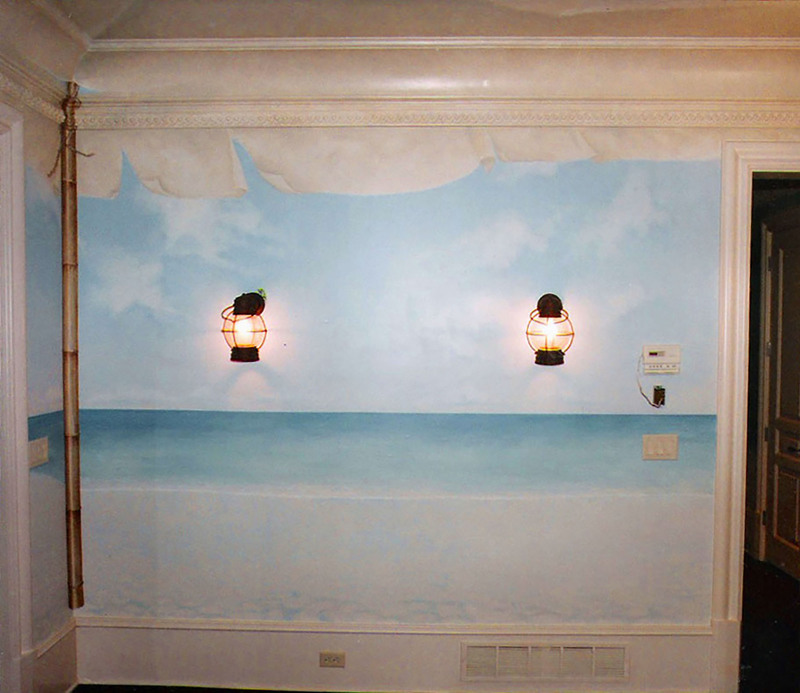 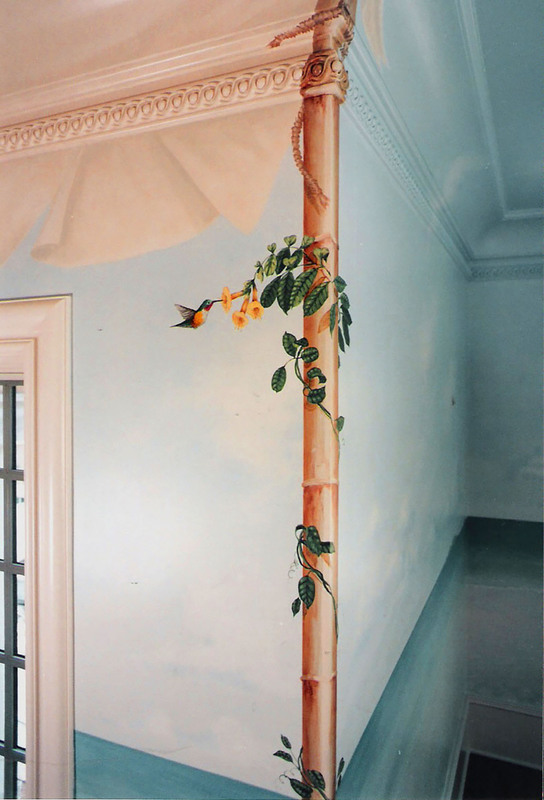 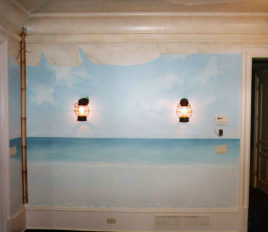 wall and ceiling mural tropical island bedroom by Visionary Mural Co.
With the help of Jill Schultz McGannon, McKeithan created this desert island themed bedroom suite for a teenage boy. 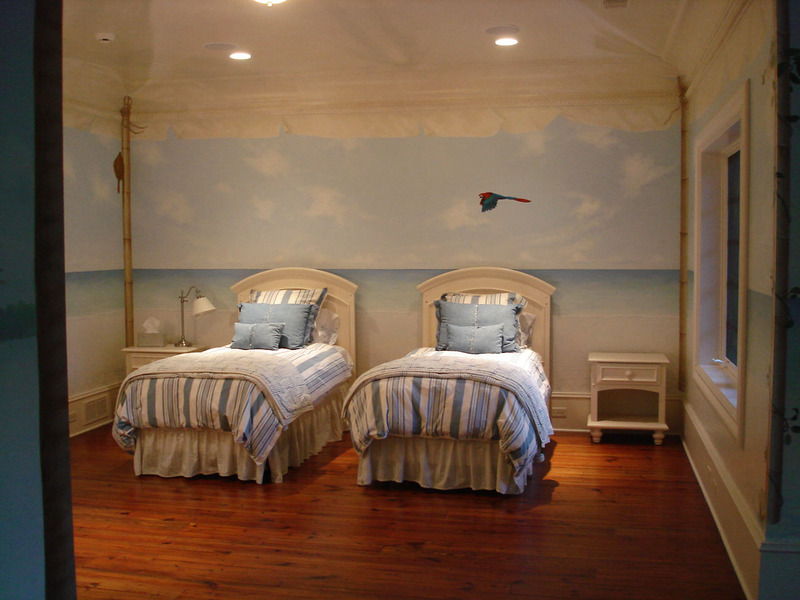 The suite adjoins “Underwater Bath.” A trompe l’oeil canvas “sail” from a shipwreck is painted to appear to stretch across the bed area of the suite, while the tranquil ocean surrounds the room. 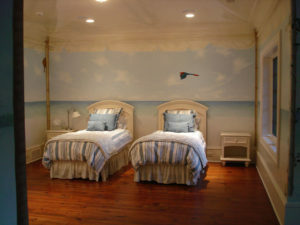 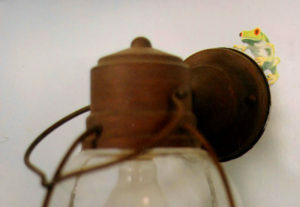 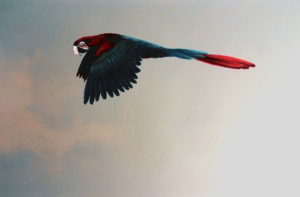 Details like frogs, fish, seagulls, parrots, hummingbird, and float keep one company on this pleasant island paradise.